Sleep is one of the most important aspects of our lives. Sleep — and whether you do or don’t get enough of it — has the ability to make or break the day. Sleep is one of the most important aspects of our lives. Sleep — and whether you do or don’t get enough of it — has the ability to make or break the day. Thankfully, researchers have found a variety of techniques we can use in our homes to increase the quality of sleep we get. A good mattress is the key to a good night’s rest. If you find your mattress is uncomfortable, it’s highly unlikely you’ll be able to drift off peacefully (unless you’re exhausted). But how do you choose which one to buy? If you sleep on your stomach, a firm mattress will keep your spine aligned. In contrast, a medium-firm mattress will provide support for your spine, back and neck if you sleep on your back. For those who sleep on their side, a softer mattress helps as it can both support and contour to your body’s curves. At the same time, your sheets, quilt and pillows can impact your sleep in other ways. Have you noticed you wake up a few times in the night to fluff your pillow up because it’s too thin? Think about investing in good quality pillows — memory foam is thick and moulds to your neck to give support where you need it. Or maybe you currently sleep on a duck’s feather pillow but you’re finding you wake up with an itchy nose — in which case, look for hypoallergenic options. In addition to light, body temperature also plays an important role in regulating your circadian rhythm. From the moment you wake up until about mid-afternoon, your hypothalamus (the part of your brain in charge of regulating body temperature, hunger and release of hormones, among other vital functions) drives your core heat up gradually. By 3:00 pm, however, the hypothalamus gradually cools your body in preparation for sleep. In a nutshell, heat usually keeps us alert while cooler temperatures tend to induce sleepiness. This is why regulating your body temperature throughout the night is vital. If it’s Summer, and your room gets stuffy and hot, you will undoubtedly find it harder to sleep. If you wanted to get technical, you can set a timer on your AC so it stays at a constant 18°C (the ideal degree, according to experts) throughout the night until around 5:00 am — this is the time our hypothalamus gradually starts to crank the heat. This way, you will get a good night’s sleep but still wake up naturally. Your circadian rhythm tends to follow a dark-light cycle, which can be easily disrupted by light. That’s why it’s important to minimise the amount of light you get in your room during your sleeping hours. Invest in blackout curtains and blinds, and buy soft-glow light bulbs for your bedside lamps so that you aren’t being subjected to bright light immediately before trying to sleep. 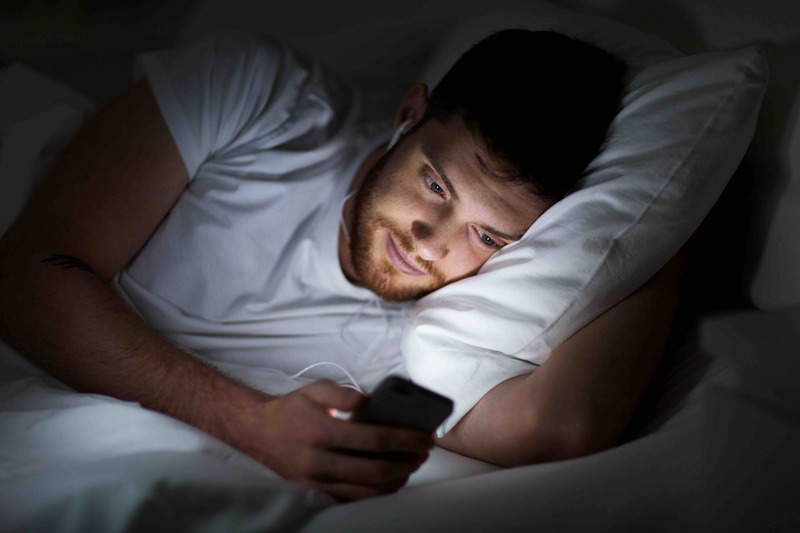 Another note on lights – the blue light found in technology such as mobile phones, iPads and televisions can affect your sleep patterns. According to researchers at Harvard and the University of Toronto, the light found in the blue spectrum suppresses your body’s ability to produce natural melatonin, the hormone that induces drowsiness. You can combat this by reducing the amount of time you spend looking at a screen before bed — or eradicate technology from your bedroom altogether. A survey conducted by the National Sleep Foundation found that your bedroom environment can impact the quality of sleep you get at night. The results show that people who made their bed each day slept better than those who didn’t, while 62% of the people surveyed indicated that a clean bedroom was important to get a good night’s sleep.